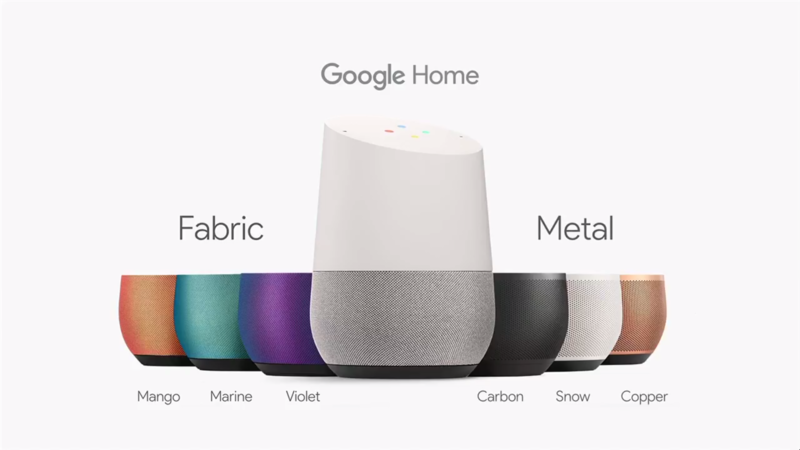 Google Home was announced earlier this year at I/O, and since then we've heard little about the product itself. Today at the #madebygoogle event, Google has released all the details, including price, shipping date, more about its abilities, and when you can pre-order it (i.e. throw your money at Google). We've known since I/O that Home will be powered by Google Assistant, which made its debut, albeit in preview form, in Allo just over two weeks ago. 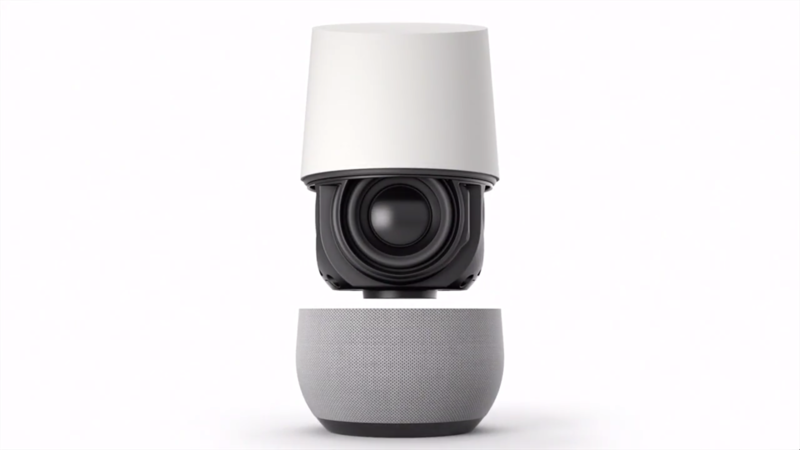 In the announcement today, Google has shown off even more of what it'll be able to do, past what was seen in the video ad at I/O (connecting to Chromecast, answering questions, playing music, messaging people, making or changing calendar events). In addition to that, there's smart home platform compatibility in the form of SmartThings, Nest, IFTTT, Philips Hue, managing everyday tasks, and controlling multiple devices. The top of the device has LEDs that light up in the Assistant colors, and is also a capacitive touch pad that lets you control music, volume, or turn the speech recognition. Bases can swapped to match the style of your home, and there is one speaker, which is forward-firing with passive size radiators. For music, Spotify, Pandora, TuenIn, as well as Google Play Music, and YouTube Music, are all supported, with Chromecast Audio support and multi-room integration. Podcasts or news readings (through NPR) are also there. For things Google's knowledge graph can not answer, the "featured snippets" of Google Search are supported, providing the best answer from the sites Google can find. 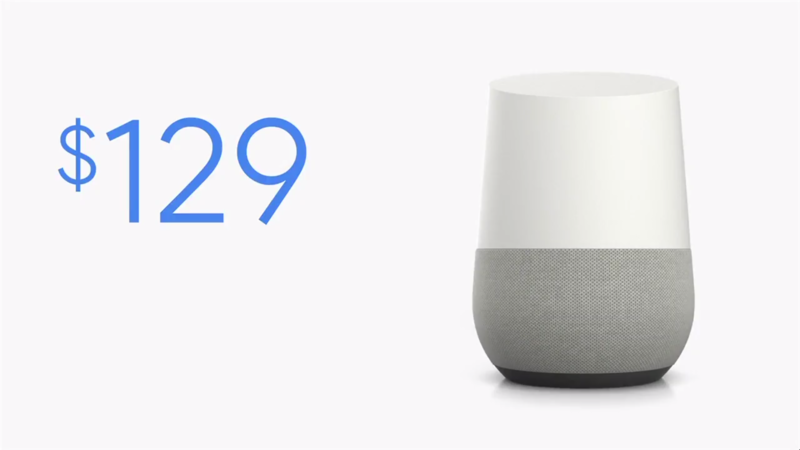 You can pre-order Google Home starting today direct from the Google Store, at the rumored price of $129. It'll ship on November 4th, when it will also be sold at retail locations such as Best Buy, Target, and Walmart. Colors for the bases vary from Mango, Marine, Violet - which are the fabric colors - and carbon, snow, and copper, which are metal.